Einstein is obsessed with Titanic (obsession takes on a whole new meaning when you have a child with Asperger’s!). I have long learned that it is best to just go with his current obsession of choice rather than fight it. 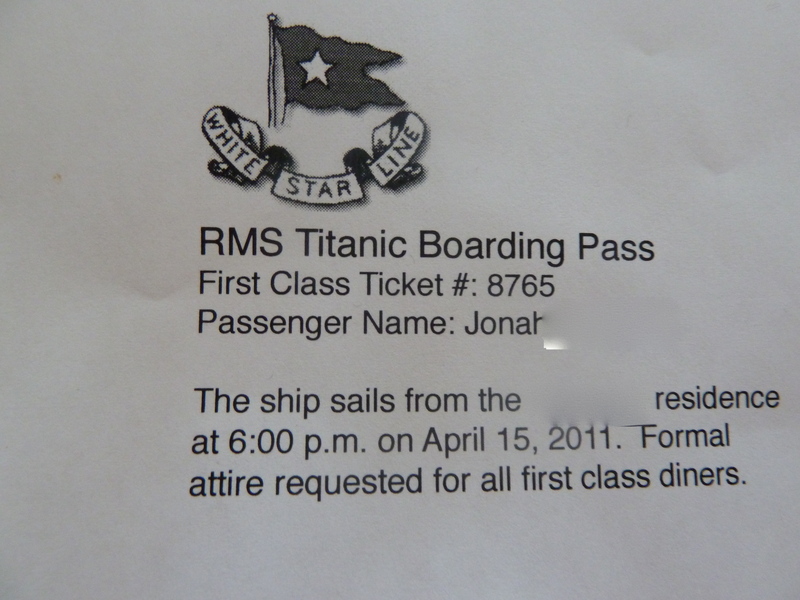 April 14 is the anniversary of the day the Titanic sank and he wrote it on the calendar and wanted to know how we were going to commemorate that day. I told him that we would do something, but as it got closer, I realized that that day I had a hair appointment and that night was The Husband and my date night, so I sat Einstein down and let him know that we would have to do something on Friday instead. In a very serious voice, he told me that Friday would work because the 15th is the anniversary of the day that Titanic first touched down on the ocean floor!!! 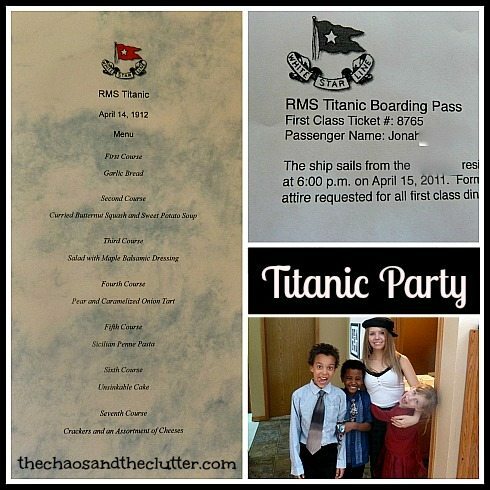 On the night the Titanic sank, they were serving a 7 course dinner in the first class dining room, so I decided to do the same for our Titanic party. It may have been a bit on the ambitious side as I forgot to calculate that a 7 course plate service meal for 11 people would mean 77 dishes, so we were mixing and matching plastic plates with our fancy ones! 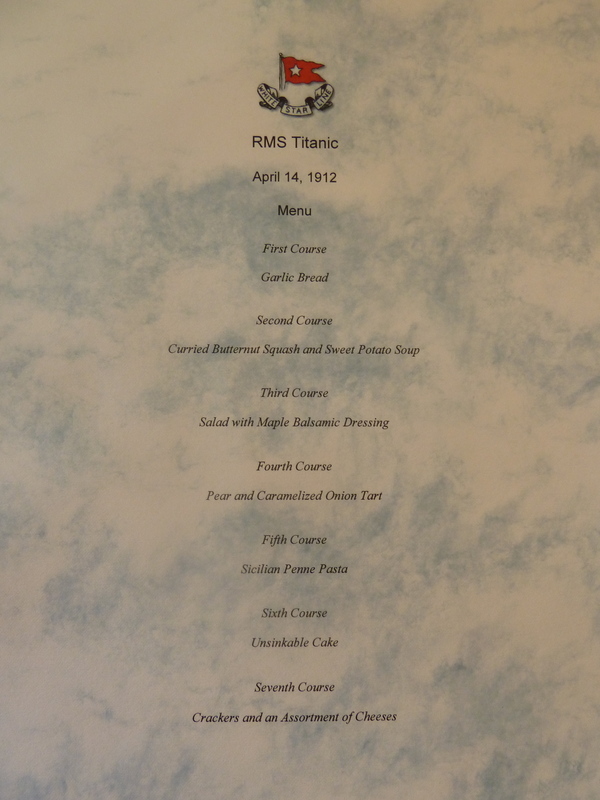 The Husband made a playlist that included string quartet music (including the song the orchestra was playing while the ship sank) and songs from the Titanic movie, which we listened to during dinner and danced to. 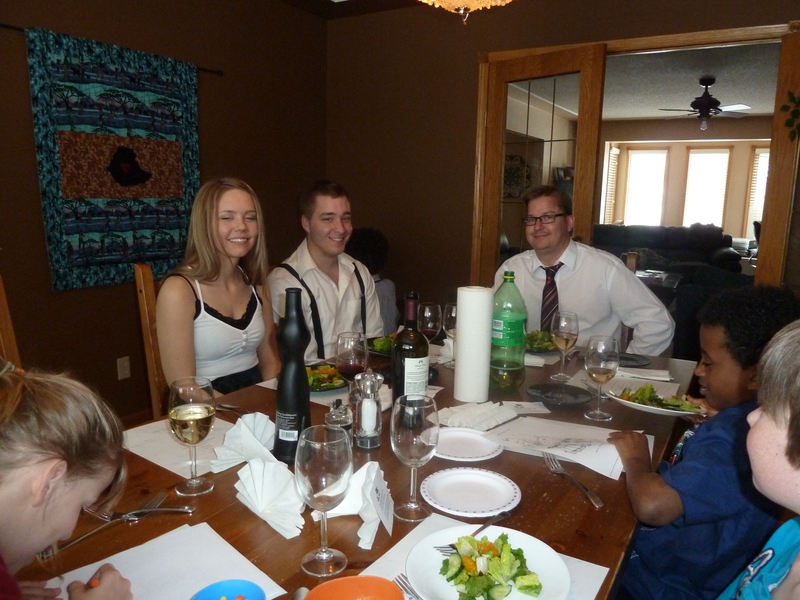 I taught the kids which fork to use for which course and they sipped ginger ale out of wine glasses and loved that their napkins were folded into fans! It was a very fun night!!! Snuggle Puppy and Dancing Queen take a break from dancing in “the ballroom”! 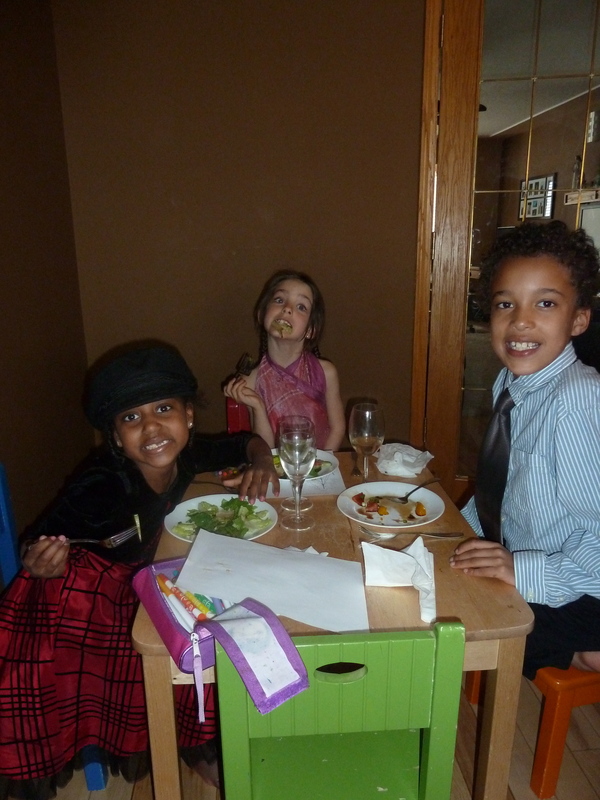 Dancing Queen, Granola Girl, and Einstein finish their salad course and sip ginger ale. Note the crayons and Titanic colouring sheets for when boredom set in between courses! 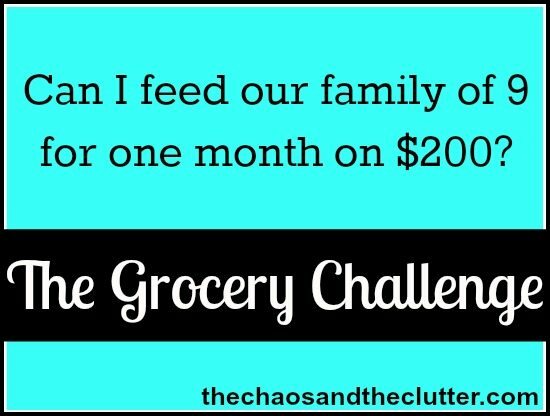 As one tool towards paying down our debt, I created a Grocery Challenge for myself … to spend only $200 in the month of March to feed our family of 9 by eating primarily from our freezer and pantry. I had inventoried what we had and made a list of meals that I could make with those ingredients. The month of March was actually a great month because of the challenge. I loved having the list of meals to reference and not having to meal plan for an entire month because it was done ahead of time. It was freeing to have an envelope with $200 in cash that was earmarked for groceries and not have to worry about how much I was spending. Staying within the budget was much easier than I thought it was going to be. We ate really well and were able to try out some new recipes that will go into our menu box for keeps because they were so good. I found these recipes by googling ingredients that I had on hand. In any given month, it would be unusual for us to have company over for a meal more than once, but in March, we had company 4 times, including overnight guests here for more than one meal and a house full of people for Einstein’s birthday party, and I was even able to feed the extra people within our given budget! We did not run out of money and in fact, on the 31st day, I was even able to buy a bottle of wine for the dinner party we were hosting that night and I had money leftover! I learned a lot as I became very aware of the prices of food and how quickly the small things can add up. I realized that we normally spent a lot of our grocery allotment on snacks and breakfast. 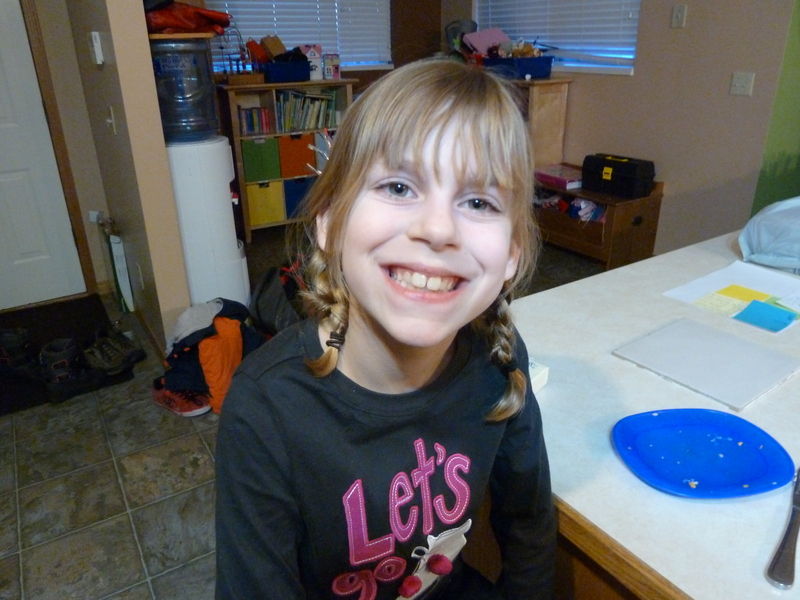 I was able to feed the kids cheaply in the mornings by only offering oatmeal or puffed wheat. This led to another discovery. We have had this giant bag of puffed wheat since the last time I made puffed wheat squares, which was quite a while ago. The kids have always refused to eat it, saying that they don’t like puffed wheat. It was funny to see that after two weeks of oatmeal almost every morning, they were willing to give it a try and really liked it! 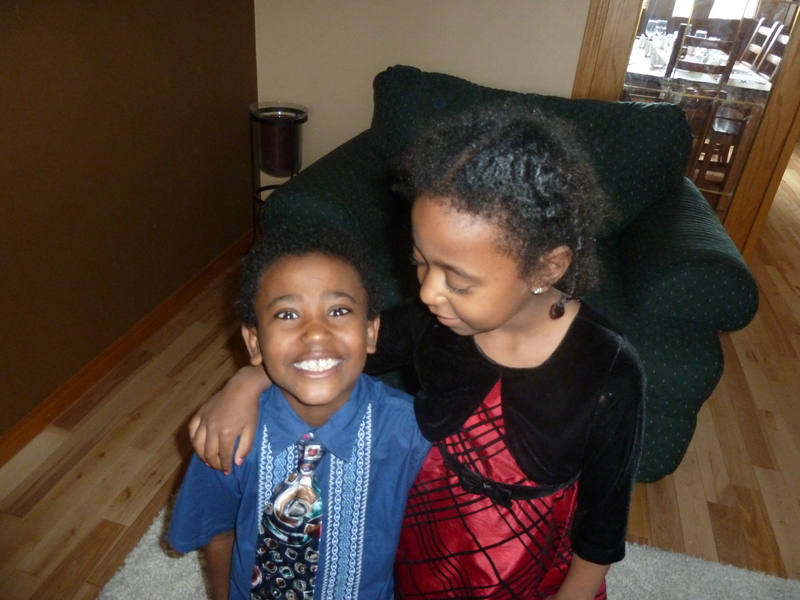 So I guess I also learnt that I am partly responsible for the kids being as picky as they are. When they don’t have as much selection, they will eat what there is. I baked a fair bit, including some bread, lots of muffins, a few loaves, and dozens of cookies. One day, I used the last of the cans of pumpkin and made pumpkin soup, pumpkin muffins, and pumpkin cookies…it’s a good thing the kids like pumpkin! I appreciated my treats more. On two occasions, The Husband and I were able to have nachos with all the fixings, which are my guilty pleasure food. Normally, I think nothing of making them at least a few times a week, but with the cost of tortilla chips and cheese, in March, they became a treasured treat! I am still amazed that we were able to eat as well as we did for only $200 in 31 days. That is less than 72 cents a person per day – UNBELIEVABLE!!! I also realized that we could easily do this once every six months. It felt great to pay down some of our debt with money that normally goes to our groceries, but it also felt good to use up what we had and ensure that nothing got wasted. Einstein wants to be a fireman when he grows up, so a fireman theme party seemed like the perfect way to go for his birthday this year. Cake. 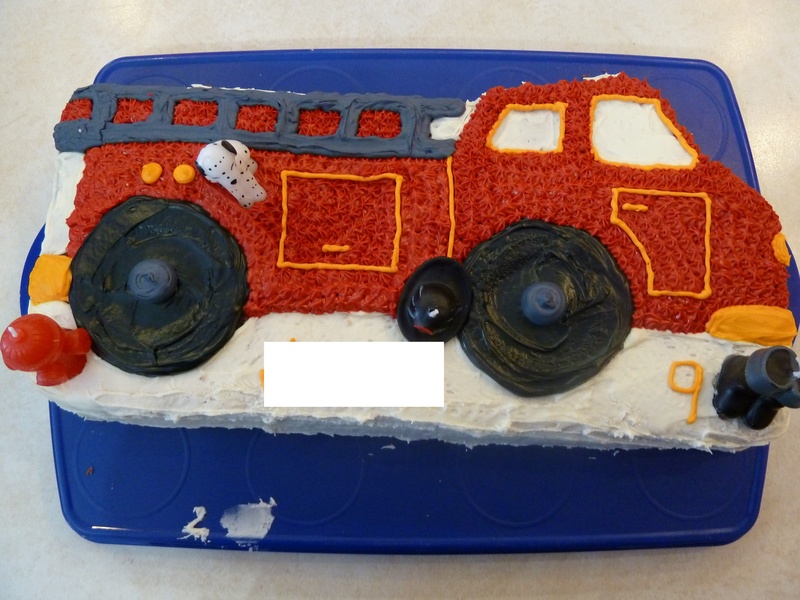 For the cake, I used the Firetruck cake pan by Wilton. I wrote Einstein’s name and age underneath in icing. I was also able to find fireman themed candles such as fire hat and boots that I added on top of the cake. Food. For our party, I served chilli because we had learnt on a field trip that firemen tend to make a lot of chilli and spaghetti in the firehall. I also served things like raw veggies and chips. Decorations. I bought firetruck plates, napkins and cups and used a red plastic fire hat and toy firetrucks as decorations on the table. Activities. The kids played “stick the badge on the fire dog” and made a fire truck foam craft that I bought as a kit. We also had little fire house drills. One game we thought of but didn’t have time to do was to pretend that a house (made from a cardboard refrigerator box) was burning (flames made with orange, red, and yellow tissue paper) and have them pretend to put the fire out. Extras. 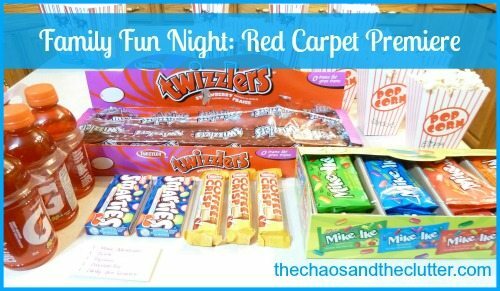 I was able to find fireman themed treat bags and filled them with fire chief badges that I found at the Dollar store, candy, and toy fire engines for the party favors. I was also able to find a fire chief shirt for Einstein to wear at the party. 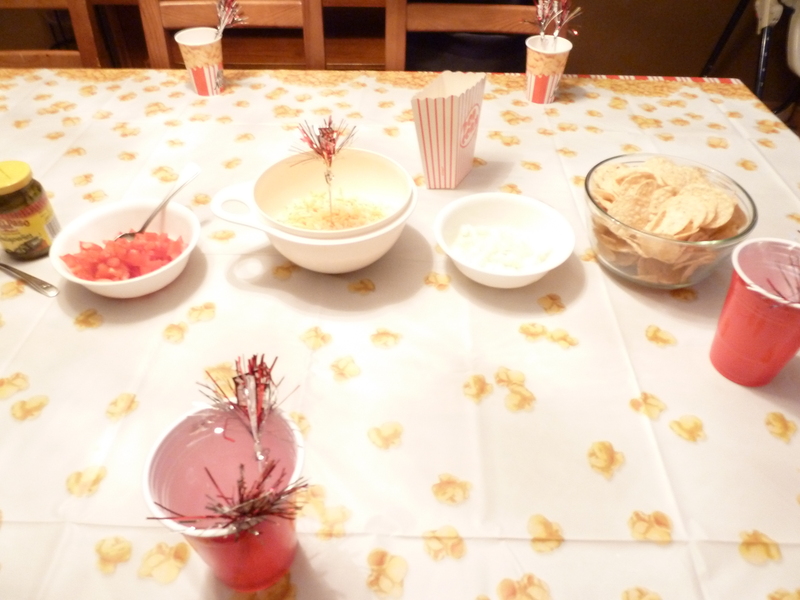 I decorated with movie themed tablecloth, cups, napkins, and skewers and used the extra paper popcorn boxes as more decorations. 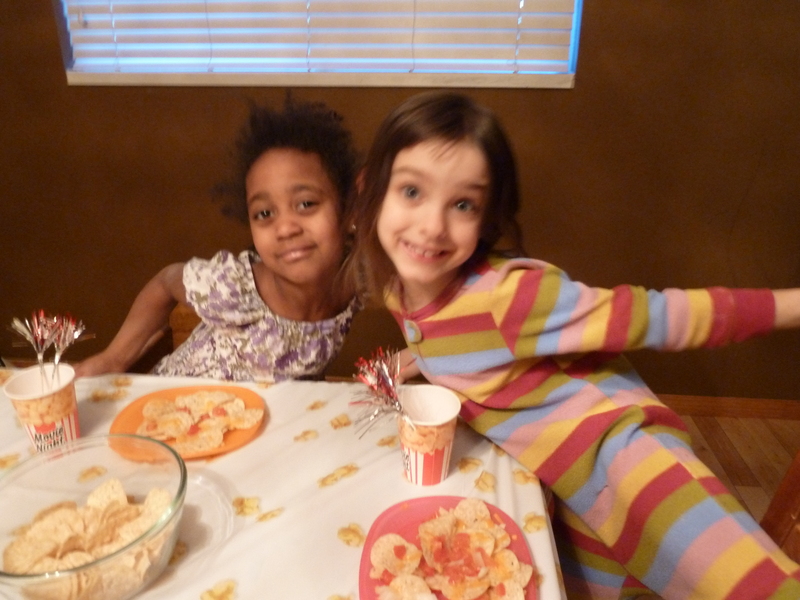 We had a make-your-own nachos bar for supper with blue and white tortilla chips, cheeses, peppers, tomatoes, onions, and jalapenos. The kids all assembled their own and then I cooked them. After a nutritious supper of nachos (! 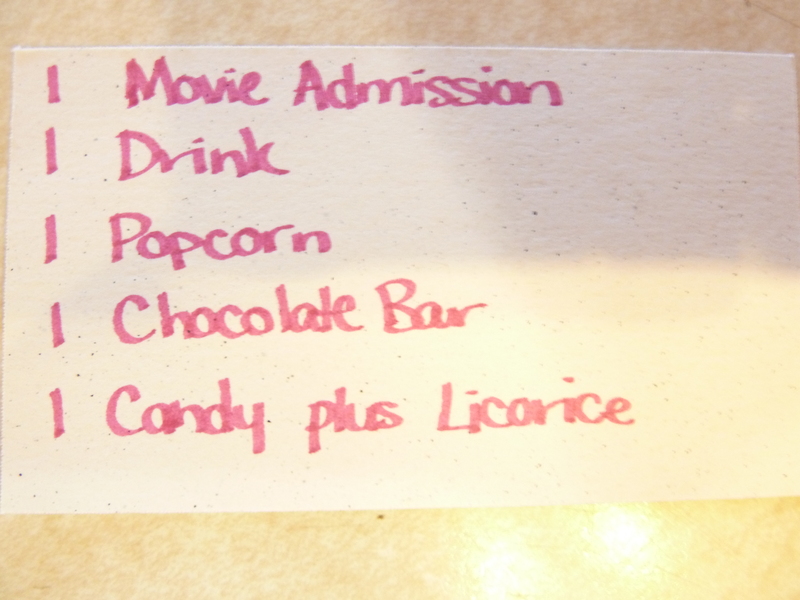 ), the kids were each given a ticket that they could redeem at the “concession”. The concession was a hit of course! 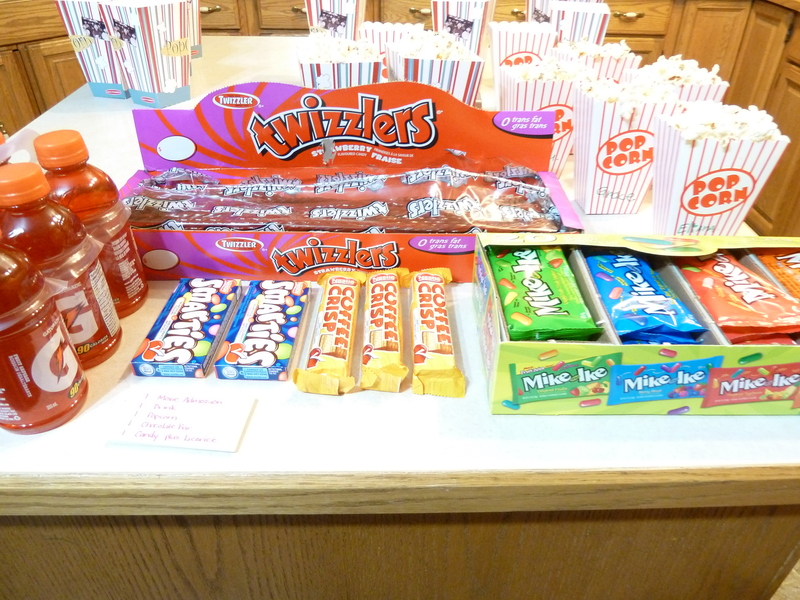 Even at a real movie theatre, there is no way the kids would be allowed that much junk to eat! 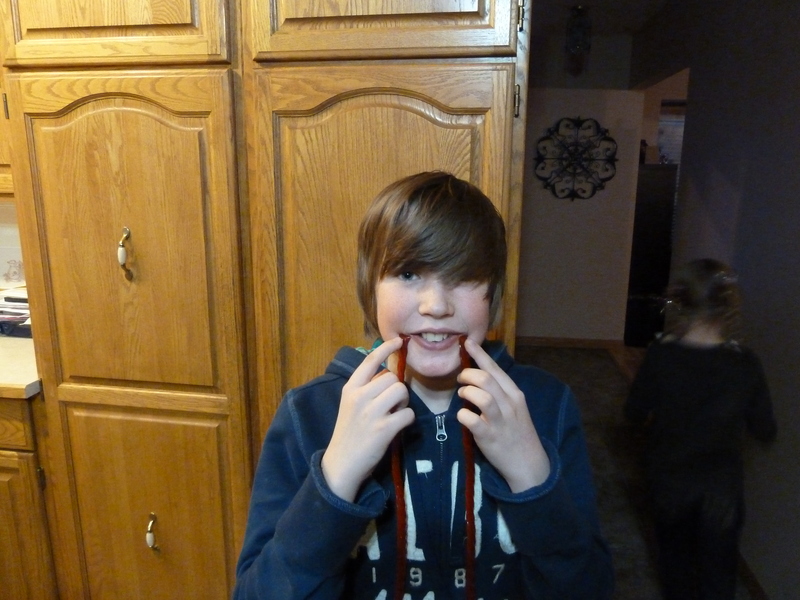 Fred gets creative with the licorice! I had closed all the blinds and curtains in the house, trying to make it as dark as possible to make it like a theatre. As a family, we watched “The Secrets of Jonathan Sperry” which was perfect as it was appropriate for all the ages. Later, when the younger five kids had gone to bed, The Husband, The Ferrari, Fred, and I watched “The Blind Side”. 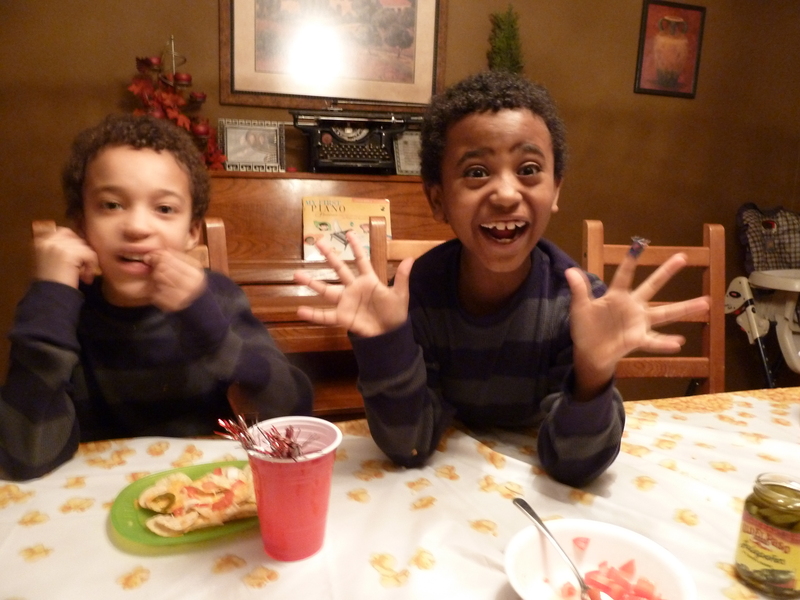 It was a great Family Fun Night and the kids all had a blast! Having regular date nights is important to protecting and improving your marriage. Especially when a couple has young children and has to pay for a babysitter, date nights can become too expensive to maintain. Earlier in our marriage, The Husband and I made the mistake of not setting aside time for just the two of us. 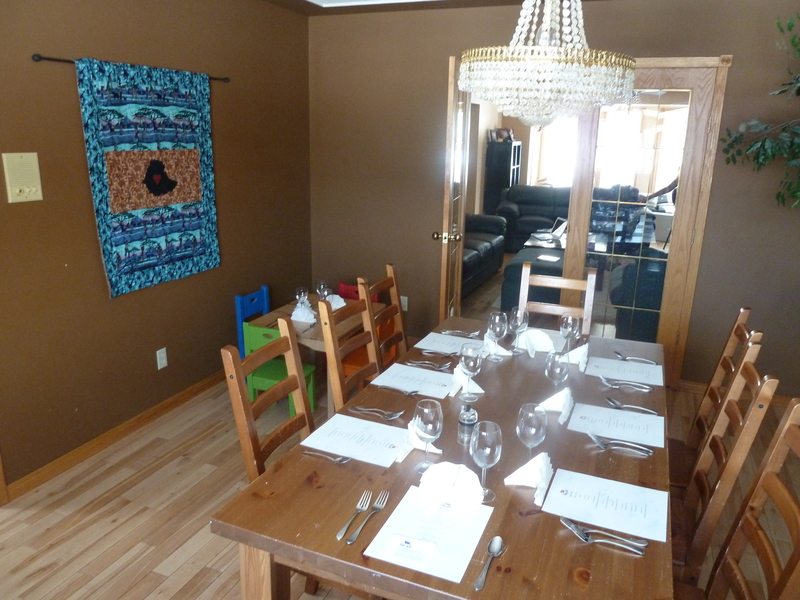 We now have scheduled date nights, but one of the challenges is fitting those into our budget. Make a Drive-In. This one can save you even the cost of a babysitter! If you have a portable DVD player or a built-in DVD player in a vehicle, park the vehicle in your driveway, and climb in the backseat. Bring with you a blanket, some drinks, and a big bag or bowl of popcorn and any other snacks you enjoy. Climb into the backseat with your spouse, cuddle up under the blanket and pop a movie into the DVD player. If you have young children, be sure to bring a baby monitor with you in case one of the kids wakes up. Real Life Drama. This date will have to take place during the day instead of the evening, but will provide free entertainment and be a change from the ordinary. Go to your local courthouse and sit in on some of the proceedings. There are some court cases that are closed to the public, but most are open to the public. Not only will you get good seats to a real life “Law & Order” unfolding in front of your eyes, but likely, you will feel much better about the blessings in your own life by the end of it! It will also give you and your spouse many conversation starters in the days to come! Love Others. A great way to increase your love for each other is to work together to serve others. Consider spending one of your date nights serving meals at a homeless shelter, coaching the Special Olympics, or serving another need in your community. 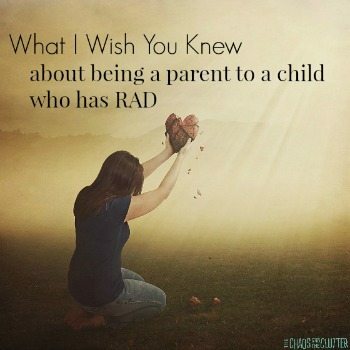 You will be glad that you did and may see your spouse in a different light afterwards. Invite Yourselves Over. Call up some friends or a family member and invite yourselves over for coffee, dessert, or to play board games. Likely, you will be welcomed and enjoy an evening of fun and laughter! Imagine Another Life. For one night, act as though you have all the money in the world. Visit high-endShowhomes and choose which one you would buy (remember, in this exercise, you can have it all!). Next, go to a furniture store, one that you normally could not afford to even consider entering, and choose the furniture you would put in that dream house you just chose. Window shopping in this way can be fun and it is really important to keep dreaming no matter where your reality is. Just be sure to make it a fun time, not getting caught up in what you can’t have, and instead just focusing on possibilities and dreaming together once again! An Old-Fashioned Picnic. Pack a picnic basket or bag of goodies. Bring a blanket to the nearest park and enjoy a meal outdoors while you people watch or bird watch or just watch each other. Afterwards, go for a stroll hand-in-hand and discuss the blessings in your life. Crash a Party. Sneak into a wedding, a bar mitzvah, a business seminar, a fundraiser, a birthday party, or other event. If you don’t feel right about doing something like this, then just enjoy the entertainment of the wedding ceremony, keynote speaker, or dance and don’t partake in the food. Just get out and do something different. By getting out of your comfort zone, you and your spouse will have more to talk about and will feel more connected. There’s nothing wrong with going out for dinner and a movie once in awhile on a date night, but it can quickly become expensive and monotonous if these are the only date night activities, so try a suggestion or two from this list and let me know how it goes! 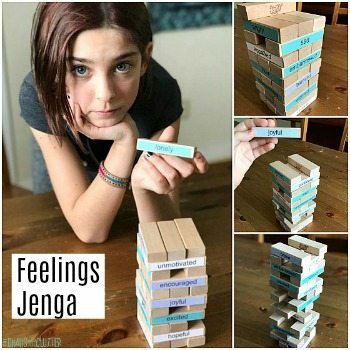 Creating a family newspaper is a unique and fun idea that strengthens relationships, develops stronger writing skills, builds self-esteem, and creates a lasting family historical record. Creating a family newspaper is a great activity. 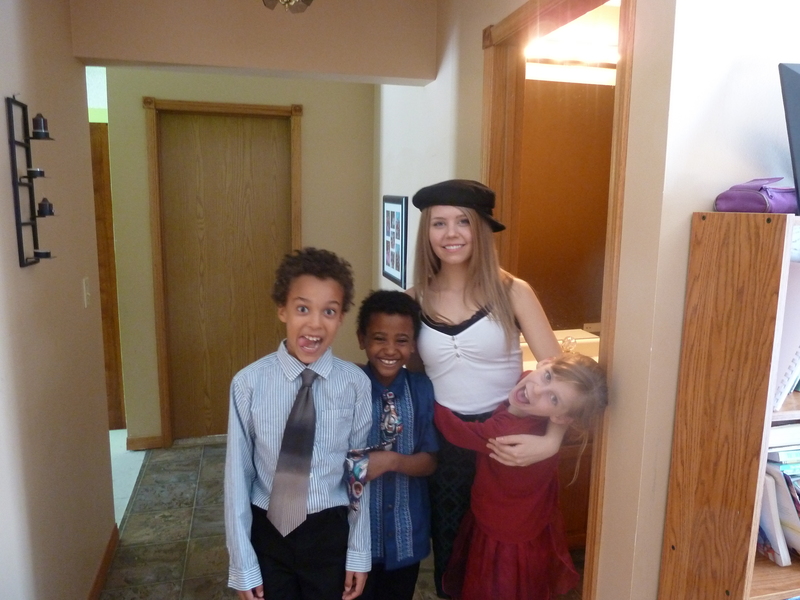 It promotes family, togetherness, creative writing, and preserving memories. A family newspaper can be worked on all together or you can assign different sections to each family member. 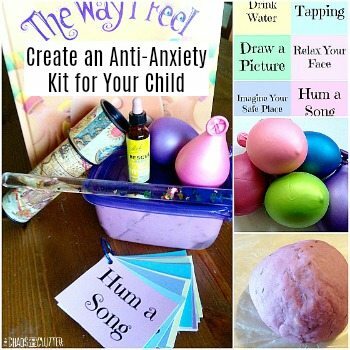 Simpler tasks, such as making comics, writing jokes or trivia facts, and drawing pictures can be given to the youngest family members, while the older children and parents take care of other sections. Making a family newspaper can be done on-line, printed on the computer or written by hand. There are no rules. It largely depends on the purpose for making the newspaper. Some families create an annual newspaper, complete with pictures and send it out to friends and family as their holiday letter. Some homeschooling families see a monthly or quarterly newspaper as an effective and unique way to promote creative writing and teach about subjects such as advertising and record keeping. Some families just make a one time family newspaper as a fun project to do together. Whatever your reasoning, hopefully these ideas will make your family newspaper a success! The possibilities with a project such as this are as limitless as your imagination. Some ideas include comics, movie or book reviews, family news (such as which cousin is expecting a baby or what dad had for breakfast), community events, neighborhood happenings, weather, accomplishments of family members (a child getting a swimming badge, losing a tooth, or getting a driver’s license), big announcements such as births and engagements, sports (a recap of a child’s last soccer game), recipes, and crafts. Having a child interview a grandparent or other relative can teach them a lot about history, ancestry, and family, and can be a great contribution to your paper. You can also add crosswords, jokes, and family trivia for a laugh. Adding pictures or drawings is visually appealing and will only enhance the look and overall interest of your newspaper. Working together to create a family newspaper will also make a paper time capsule, a treasure for years to come. Seeing their accomplishments, writing, and drawings in print will enhance your children’s self-esteem and reading about family history will help them to feel connected to something larger than themselves. Creating a family newspaper is a great tradition to start.